Have you heard of Malala and Savita? Home » English » Have you heard of Malala and Savita? This is not a tongue-twister. These are the names of two people who could not be more different. But both of them share tragedies that dramatically illustrate how obscurantism is alive and well at the dawn of the 21st century. Malala Yousafzai, Pakistani, is 14. A month ago, as she was returning home in the school bus, she was hit by a bullet that went through her head and neck, and lodged in her shoulder. Miraculously she survived, and is now recovering in a hospital in the United Kingdom. Her sin? Activism in favor of more education for girls. Ehsanullah Ehsan, spokesman for the Pakistani Taliban, claiming their responsibility for the attack, explained that Malala “is the symbol of the infidels, and of obscenity,” adding that, if she survives, they will try again to kill her. And also her father, Ziauddin, whom they blame for having brainwashed her. The first evidence of this brainwashing appeared when, Malala, then 12, at the urging of a BBC journalist, began to write a blog about aspects of her life under the Taliban, who at that time (2009) controlled the Swat Valley, where she lives in Mingora, the largest city there. This control meant that for girls going to school became dangerous or simply impossible as some schools for girls were shut down and others burned. Once the Pakistani army retook control of Swat, Malala became a public, lucid and highly articulate voice for the urgent need for Pakistan’s government and society to do more to educate girls. For the Taliban, the preaching of such ideas carries a death sentence. The attack on Malala produced international indignation and, what is more important, generated an indispensable debate within Pakistan. Savita Halappanavar, is a 31-year-old dentist with Hindu origins who lived in Dublin. In principle, Ireland would seem to be a less dangerous place for women than the Swat Valley. However, an obscurantism not unlike that which almost killed Malala did kill Savita in Dublin. As she began her 17th week of pregnancy, she did not feel well, prompting her husband to take her to Galway’s university hospital. The diagnosis was as obvious as the necessary treatment. 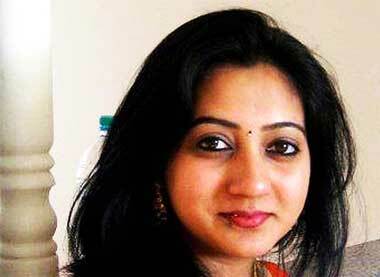 But medical logic clashed against the law; a clash that killed Savita. The doctors concluded that the fetus was not viable, and could not survive. Savita, despondent at the loss, finally resigned herself to it and, with her husband, requested an abortion. We can’t, the doctors explained. The law only allows it when the fetus’ heart ceases to beat. We must wait. And despite the couple’s protests and desperation, so it was. They were forced to wait. The fetus’ heart stopped on a Wednesday. Savita’s, the following Saturday. Why is it that the protection of a fetus that is clearly not viable and has no hope of life is more important than the protection of a young mother of 31 in perfect health? You know the answer. Malala’s failed murder and Savita’s death “for legal reasons” produced a wave of indignation around the world. Though global revulsion is far from sufficient to change things radically in Pakistan or Ireland, the two tragedies have produced some hopeful effects. Irish politicians have been forced to promise reforms to the laws that prevented doctors from saving Savita’s life, and in Pakistan it has become somewhat more difficult to defend the idea that girls don’t really need to go to school. These changes are obviously not sufficient, and much remains to be done. But at least the stories of Malala and Savita have reminded the world that obscurantism is not a thing of the Middle Ages. It is here with us, in the 21st century. And is still claiming lives.